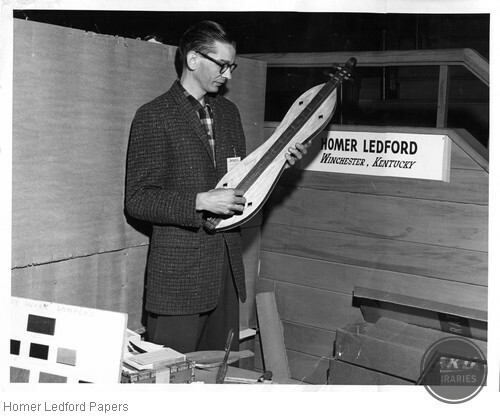 Ledford attaching the pegbox to the scroll. 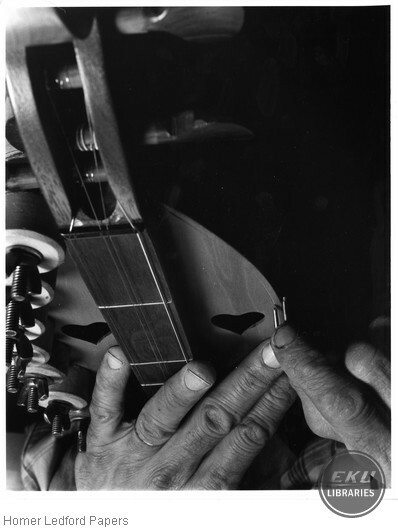 Ledford attaching the fingerboard to the scroll of a dulcimer. 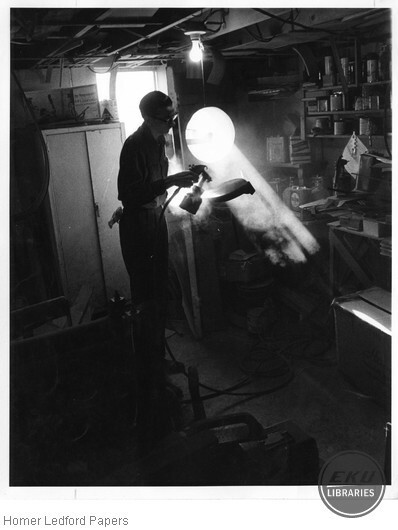 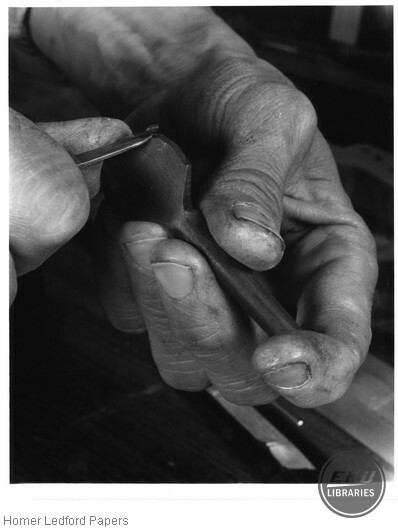 Homer Ledford using his pocketknife to give the pegbox its final contours. 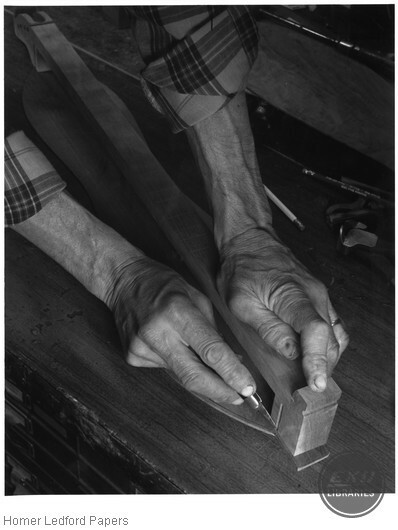 Homer Ledford fitting the dulcimer side into the end block. 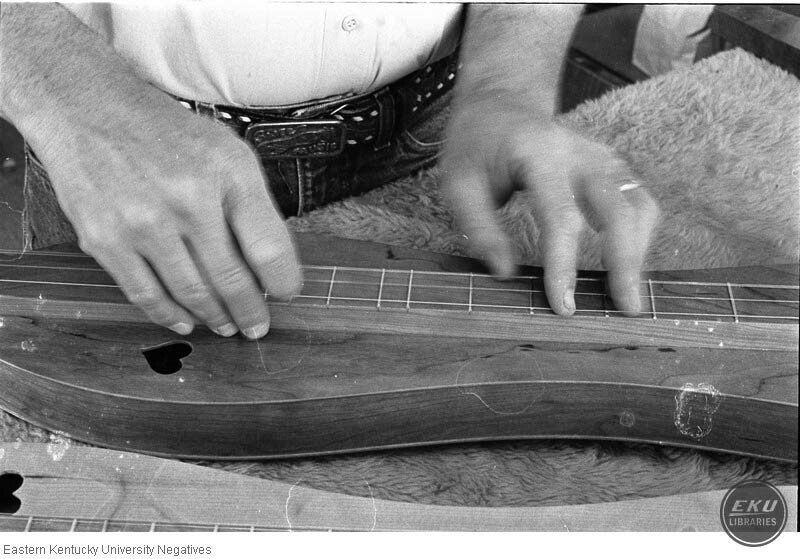 Homer Ledford aligning the dulcimer back with the pegbox before trimming it to the proper length. 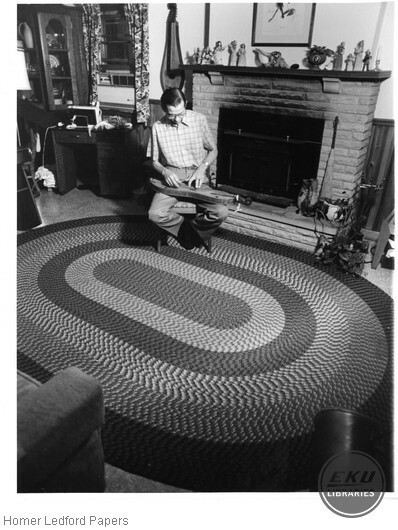 Dulcimer before the main pieces are attached.